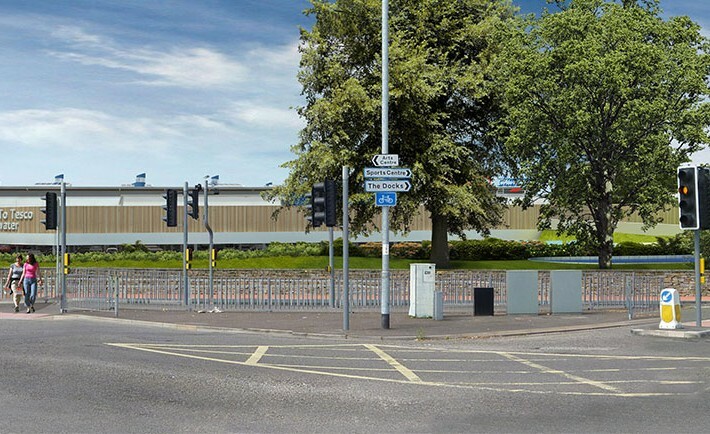 Planning has been approved for a proposed development within the extended town centre boundary to provide a new F60 Tesco foodstore, seven commercial (Class A1/A2/A3/A4/A5) units, one office unit (class B1), enhanced public open space and children’s play area, car parking, landscaping and ancillary works. 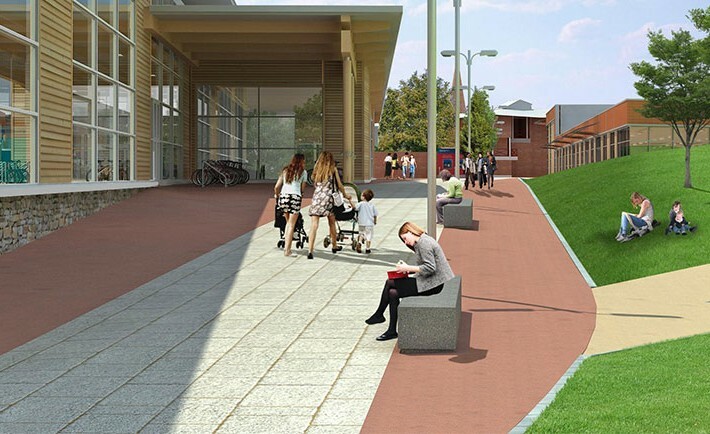 The design of the scheme has evolved over the last three years through the tender process for the site and following the appointment of Tesco to develop the site, a number of meetings with Sedgemoor District Council and the Tesco design team. 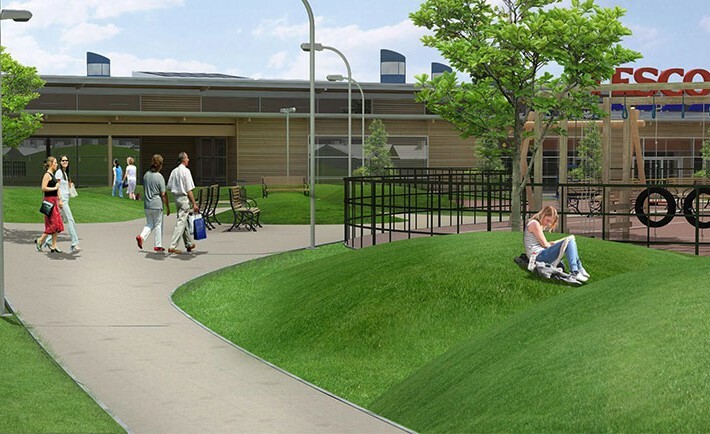 The design also evolved following a public exhibition in October 2011 and a series of one-to-one meetings with local residents and various interest groups in late 2011/early 2012. A BREEAM Pre-Assessment carried out by URS has identified a ‘Very Good’ rating for both the proposed food store and the commercial units.